Suitable for all ages - younger students will need help with though. Help the small robot work through 100 different challenges.Lots of thinking to be done to plan actions to help the robot to navigate his way through the obstacle courses. 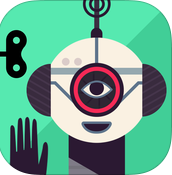 A simple, entertaining app which is a good introduction to robotics and coding for ES! and S1 students. 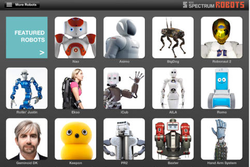 Lots of information about robots. About 150 robots to explore including Asimo, the Mars rover, Google’s self-driving car, androids, drones, exoskeletons and toy robots. "Invent and build anything you can imagine"